A colleague at work recently departed for her first visit to Venice. Of the two of us, I can’t tell who was more excited – possibly me! I put together a suggested itinerary for her trip, and I’m eagerly awaiting her return to hear about her experience of Venice. So I’ve been doing (even more than usual) dreaming about my own ‘ideal’ week in Venice for a first-time in visitor (you know, on the train to work, walking to work, at work, coming home from work, as I’m cooking dinner, as I’m washing up etc). To anyone visiting Venice for the first time, I would recommend arriving on Monday afternoon, and staying for at least six nights. I know, that probably sounds like a lot of time to you, but for me, even this is scarcely enough to see Venice, but it would be sufficient to at least see the major monuments and experience the city. What follows isn’t a guided tour of Venice – there are many fine guidebooks that do the job nicely. What I’m proposing below is a suggested itinerary for your week-long stay in Venice to help you get the most of the city’s major sights and activities for your first-time visit. This of course, assumes that neither the architecture nor visual arts biennales are in session – in which case, I’d ideally add on another two days to see as many of the exhibition spaces in the Giardini della Biennale and external sites as possible. Nor does this itinerary take into consideration major exhibitions or events that might be held during your visit. Travelling from Australia, I’ve always flown into Venice from a connecting European city. I’m sure there are cheaper ways to arrive in Venice, but for me, it takes 24-hours just to reach Europe from Sydney, and I’m always anxious to maximise my visiting time in Venice. I also love, I love, I love the experience of flying into Venice...that precise moment when the magical, enchanting jewel comes into view far below. Seeing Venice from the air is truly a wonderful and it always catches my breath and squeezes my heart to see Venice again. Inside arrivals hall at Marco Polo airport, purchase your 7-day vaporetto ticket and your return transfer to Venice. Get out into the city to feel Venice under your feet, in front of your eyes and surrounding all your senses. 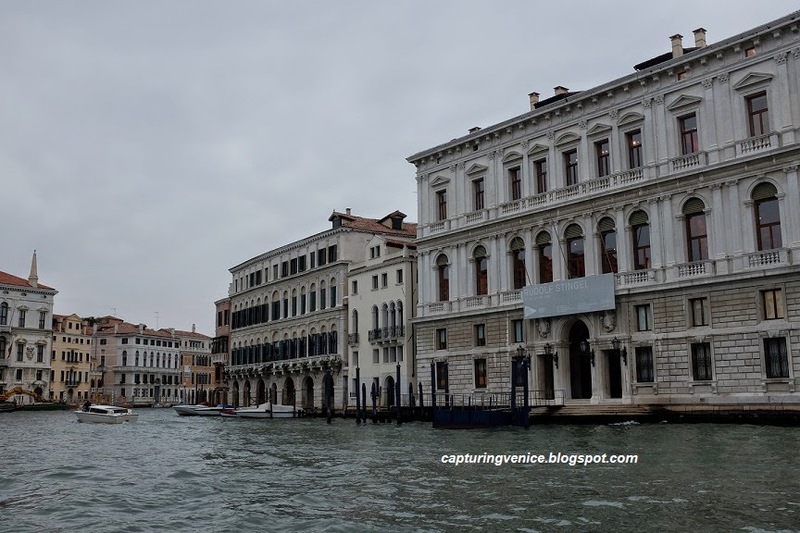 Go to the Accademia bridge, climb up to the top and take in the view of the Grand Canal looking toward the Salute. Walk down to the Basilica della Salute and if it’s still open, step inside quietly to enjoy its baroque elegance and serenity. I always feel like walking into the Salute is like walking into a motherly hug. This beautiful space has a warmth and a welcome that is hard to imagine until you’ve actually experienced it. It will be difficult to tear yourself away from the cosy atmosphere off the Salute, but when you’ve had your fill, walk a short distance to the Punta della Dogana and breathe in and enjoy another classic Venetian view across to the Piazza San Marco, to the island of San Giorgio Maggiore across the Giudecca canal, and watch the vaporetti and water taxis motor past. You really are in Venice! As evening falls, walk back to the Salute to catch the vaporetto down the Grand Canal. Marvel as the palazzi and churches lining the Grand Canal slip quietly past you. Descend at Rialto to enjoy cichetti (aperitifs with delicious little titbits) or an early dinner at one of the restaurants in the bend of the Rialto – I love the view of the Grand Canal and Antonio da Ponte’s 1588 bridge from this spot, nestled into the ‘S’ bend of the Grand Canal. Then, enjoy a post-prandial stroll across the Rialto bridge and follow the amply-signed tourist route towards Piazza San Marco. You will walk to the Piazza past Campo San Teodoro, through Campo Manin. 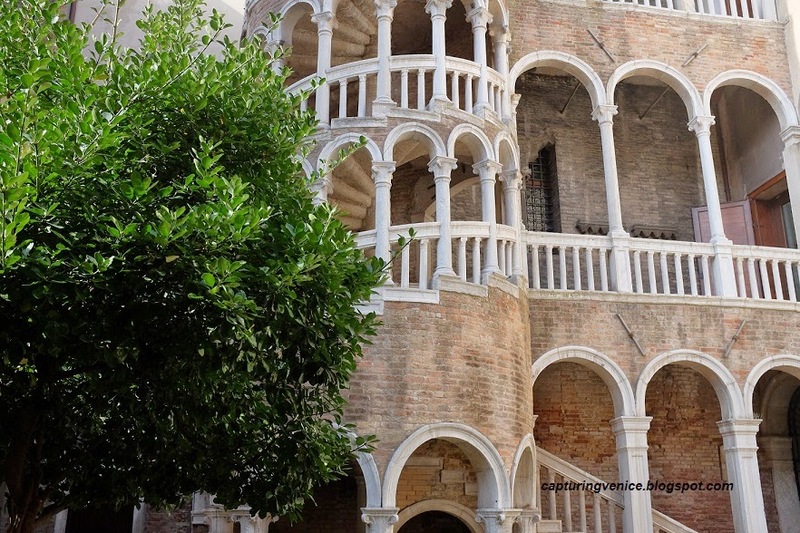 At Campo Manin, you could take a small detour and follow the signs to the ‘Scala del Bovolo’ – to see that much photographed house in Venice with an outdoor staircase in the form of a snail shell. You can’t get inside, you can only stand at the gates and observe. Onward to Campo Sant’ Angelo, Campo Santo Stefano, Campo San Maurizio, past Santa Maria del Giglio, and Campo San Moise to finally end up in the Piazza San Marco. And look, up ahead of you – there is it – the Basilica di San Marco! And there’s the Doge’s Palace! And the campanile! And the clock-tower! When you’ve had a chance to recover, look around the rest of the buildings. Feel the size, space and shape of the Piazza all around you. Imagine all the lives, famous, infamous and anonymous, that have passed around you over the centuries. Draw a breath. Walk down to the piazzetta to savour the view across the Bacino di San Marco to the Salute and Punta della Dogana on the other side of the Grand Canal, to San Giorgio Maggiore and the look down the Riva degli Schiavoni. Walk back toward CaffeFlorian, and depending on the weather and your preference, sit down inside one of the ornate rooms or outside in the open-air with the band. Enjoy a hot chocolate, an elaborate tea service or a glass of Prosecco or a Bellini. As you stroll home, listen to the sound of your footseps and your voice echoing around the dark, winding, silent streets. Hear the soft sound of the water lapping against the sides of the canals all around you. Sleep tight - you’re going to wake up in Venice! I love your passion. You are a Venetian at heart. Thanks for your blog. It's beautifully written.